"The Shadow of Atlantis" is the first in a series of time-travel adventures, featuring 3 children and a rather special Tonkinese cat. I'm now working on the tenth and eleventh books, "The Shadow of the Witchfinder" and "The Shadow of the Shifting Sands". Look out too for some short stories - Max's Adventures - all of which are spin-offs from the SHADOWS FROM THE PAST series, featuring Max the cat on special solo missions. What would you do if your parents were lost in time? Would you risk everything to find them? 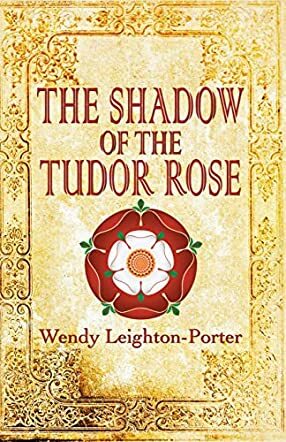 The Shadow of the Tudor Rose by Wendy Leighton-Porter is a sensational children's historical adventure. Eleven-year-old twins Jemima and Joe Lancelot have come within hours of finding their lost parents. Now, with the help of their best friend, Charlie, and Jemima's noble Tonkinese cat, Max, the children are ready to set out on another epic adventure into the past. This time they arrive in Elizabethan England. The year is 1588, Queen Elizabeth the First has the throne, and disguised Spanish spies lurk everywhere. When they land, the time-travelers discover that they have been sent help on this trip in the form of a Spanish speaking cat, Fernando. The children and Max decide to team up with Fernando, and he agrees to help them find food and shelter. Things quickly become complicated when they find themselves thrown into a plot so confusing that they don't know who they should turn to for help. With their lives at stake, Joe, Jemima, Charlie, and Max struggle to understand what their mission is and who or what the Rose is. Will they be able to make sense of this mission before it is too late? Or will they find themselves lost in a dark conspiracy? Travel back in time to meet some of history's most fascinating and influential people in the thrilling ninth book in The Shadows From The Past series. Encounter such people as William Shakespeare, Christopher Marlowe, and the indomitable Sir Francis Drake. Go on another exciting educational adventure with Joe, Jemima, Charlie, and Max as they delve deep into the intrigue surrounding England and the advance of the Spanish Armada! Just when I thought that the books were nearing the end, the author brings in more excitement, more mystery, and more fascinating characters! I love how the author has entwined The Shadows From The Past series with Max's adventure series. Wendy Leighton-Porter has created such vivid characters, with every story chock-full of historical events and significance; the books are hard to put down once you start reading. I admire how she weaves history into every quest the children go on; it not only breathes life into history, but it also helps the reader remember all the details factually. I applaud the author's integrity to her readers; she clearly informs them of what is truth and what she has created within her stories. At the end of The Shadows From The Past books, the reader will find tasty historical tidbits that coincide with the story, written in such a way that the reader is certain to research more about the period. I highly recommend this book to children seven through eleven, though I believe that even older children will absolutely enjoy it!